(GBBC) stages 28 rounds of fistic fury August 30 next. Dubbed the ‘Battle of the Contenders’, the card will feature those boxers that recently participated in the Contender Series in Jamaica and the champion, Jamaican Sakima Mullings, is scheduled to face off with local pugilist, Derek Richmond in an 8 rounds jnr/middleweight scrap. In the main supporting bout, Dexter Gonsalves will oppose local welterweight champion, Trinidad based, Iwan Azore in an 8 rounds jnr/welterweight non-title affair while another Jamaican contender, Kamal Russell, will tackle Winston Pompey over 6 rounds. 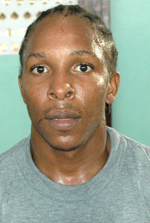 Kamal is no stranger to the local scene as he had earned a TKO decision over Romeo Norville on a Guyana Fight Night card last year and will be out to prove that his victory was no flash in the pan. On the other hand, Pompey, who had a rough start to his professional career, has since opened training in Suriname and said that he is much improved. The quality of his performance can only be assessed on fight night. Otherwise, former local bantamweight champion, Dexter Marques, will meet with Richard Williamson in a bantamweight six rounder. This will be their second meeting and Williamson, who lost the first, will be looking to turn the tables around. The boxers have all been advised to commence training and the local contingent will convene at Abdool and Abdools Insurance Brokers, Avenue of the Republic, Friday afternoon at 14:00hrs to conform to this prerequisite.